Khao Sok National Park is in Surat Thani Province, Thailand. Its area is 739 km², and it includes the 165 square kilometer Cheow Lan Lake contained by the Ratchaprapha Dam. 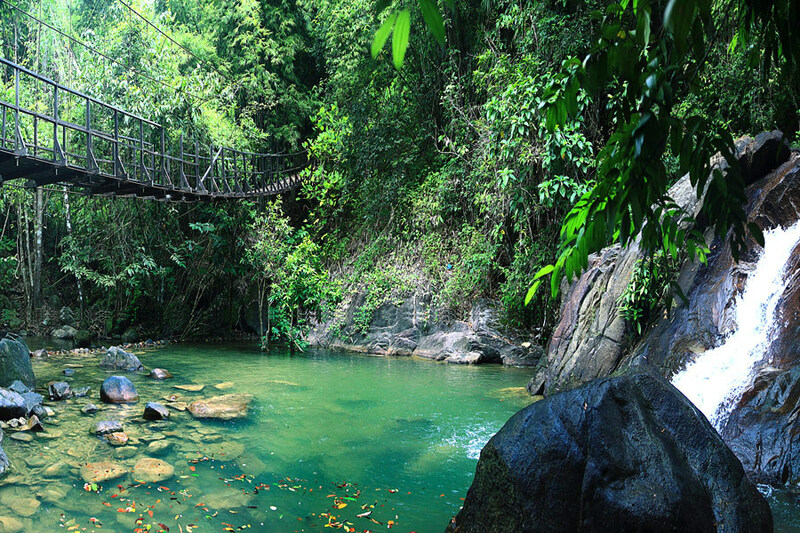 The park is the largest area of virgin forest in southern Thailand and is a remnant of rain forest which is older and more diverse than the Amazon rain forest. Beautiful sandstone and mudstone rocks rise about 300–600 m above sea level. 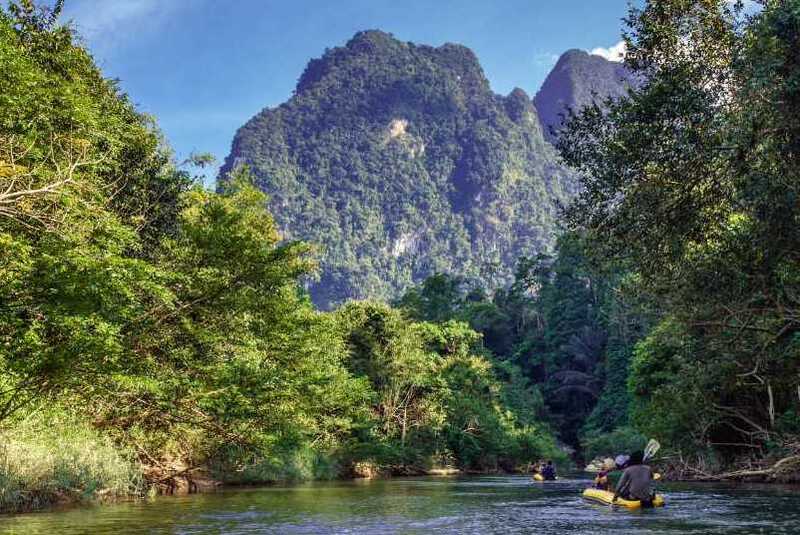 The park is traversed by a limestone mountain range from north to south with a high point of 950 m. This mountain range is hit by monsoon rain coming from both the Gulf of Thailand and the Andaman Sea, which makes it among Thailand's wettest regions with an annual rain fall of 3,500 mm. Heavy rainfall and falling leaves led to the erosion of the limestone rocks and created the significant karst formations seen today.